Desert Tech’s TRASOL is a new ballistic application that features an innovative Heads-Up display. 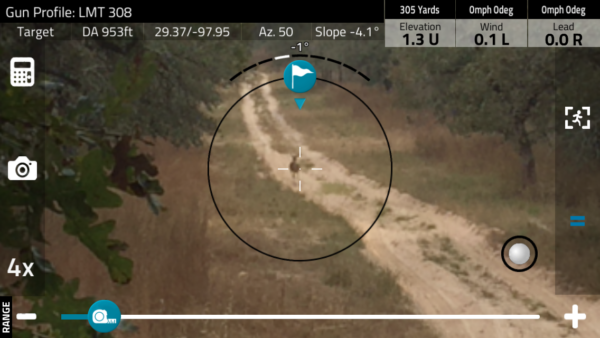 The Trajectory Solutions App accesses your phone’s camera to provide a heads-up display of target and app tools. 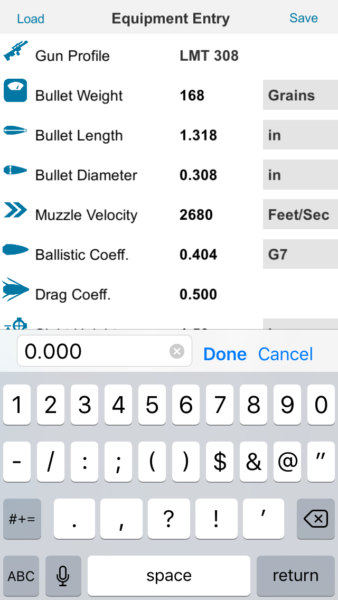 To my knowledge, this is the first ballistic app to provide this functionality. By using the camera, you are able to capture still images or video of your shots! I had an early iPhone TRASOL prototype of the app and my comments here are based on that experience. My version of the app is 1.2.2 and it consumes 89.4 MB of storage. When you boot up, the app states, “Created by Desert Tech in partnership with Sniper’s Hide.” Strong credentials there! 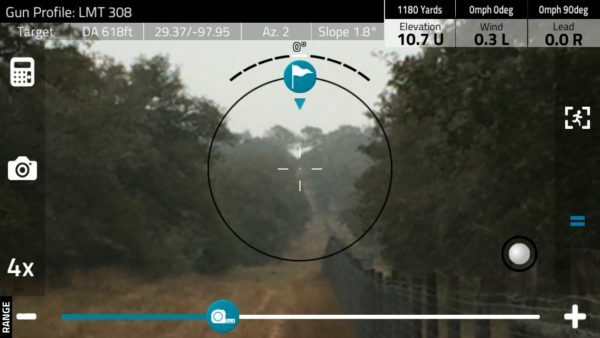 Desert Tech claims “TRASOL’s proprietary algorithms make it the most accurate ballistic calculator, negating the need to alter manufacturers bullet data.” I did not have the time or resources to do precision long-range validation of their declaration but given the reputation of the developers I wouldn’t bet against them. This is one sophisticated app. If you are just looking for a simple ballistic chart then TRASOL is overkill for you. However, if you are a competitive long-range shooter (full disclosure, I am not although it is a goal) then you will find this a worthy challenger for best of the breed. HUD is the eye-candy. It is a game-changer and really cool to be able to record the experience. When you click a field to enter your custom values the cursor is right-justified behind the existing entry. The existing value should clear. Instead, you have to backspace-backspace-backspace to clear the current entry. For example, if the current bullet weight is 168 and you want to enter 150 you end up with 168150. This doesn’t seem that big of a deal until you start entering lots of data then it is a pain. TRASOL should include a database of bullets (and maybe even factory ammunition loads). As someone who plays with lots of guns and ammo, it is a pain to enter individual bullet characteristics. My contact says they are developing a database to pre-load into the app – that would be great. 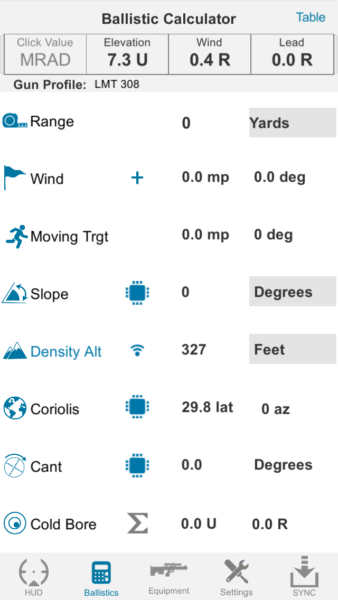 TRASOL is available for both iPhone and Android. Publisher of Tactical Gun Review. Managing partner of Coker Tactical. I love hunting for Texas whitetail deer, wild hogs, and high-volume Argentina dove. When not hunting you can find me fishing along the Texas Coast or on a wild Colorado river. Caleb, from Desert Tech, here. Very much appreciate the article and the constructive criticism. You’re notes are right on point with everyone else’s requests and this is something we’re pushing to add very soon! If it’s not too much to ask, do you mind adding a link to the iTunes Store and google play store where your readers can view and download the app? Sign up for our newsletter. NO SPAM! 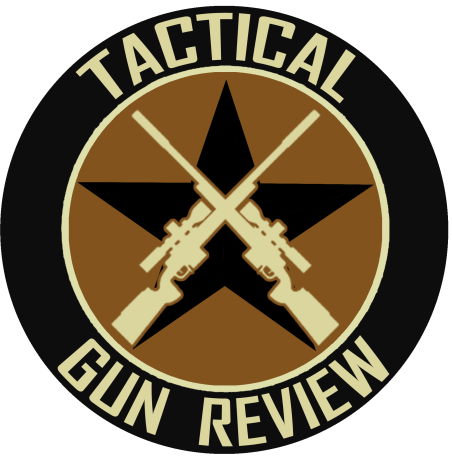 Tactical Gun Review and Texas Outdoors Network are published by Coker Tactical, LLC. Coker Tactical is proud to be based in the Great State of Texas! We grew up in South Texas hunting and fishing with friends and family. As a kid, nothing was better than sitting around a campfire with our Dad and Uncles. We strive to carry on that tradition.